I feel a bit guilty about the social buttons on the site. So, as per TheOatmeal's instructions, Sweet Beard is going to make some, or all, of these happen. If you or your beard would like to participate, just let us know. 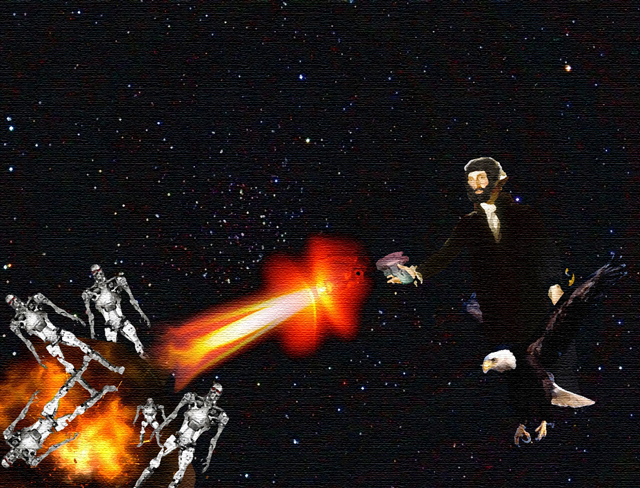 Portrait of bearded George Washington atop his personal bald eagle, in outer space, obliterating terminators with a laser gun, before Skynet even existed.